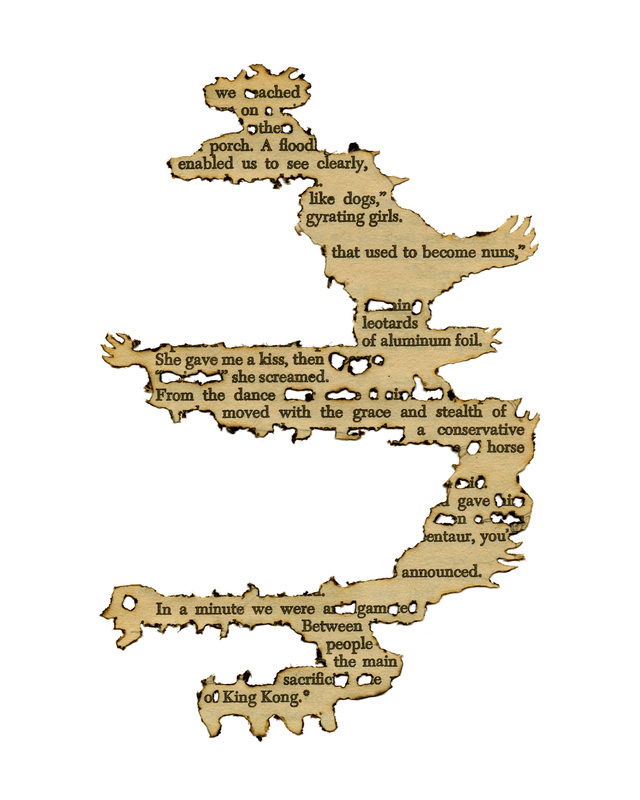 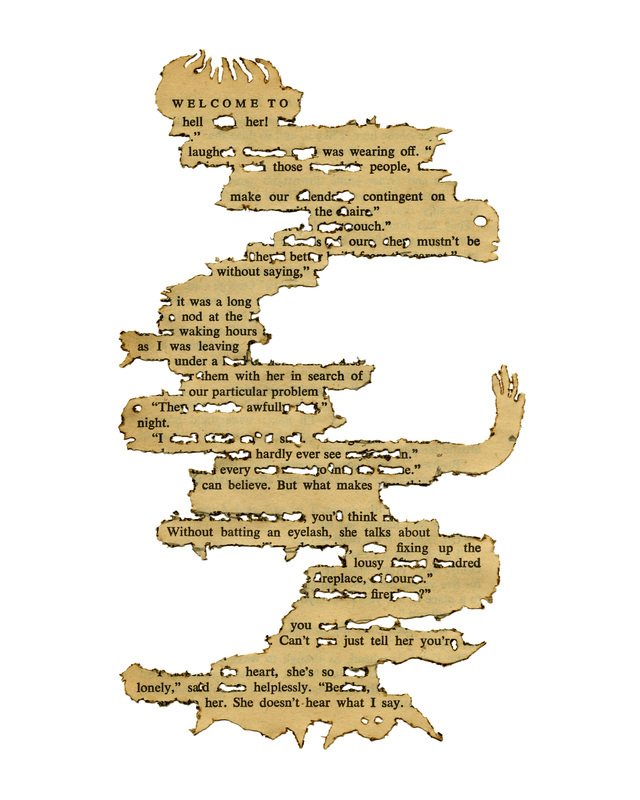 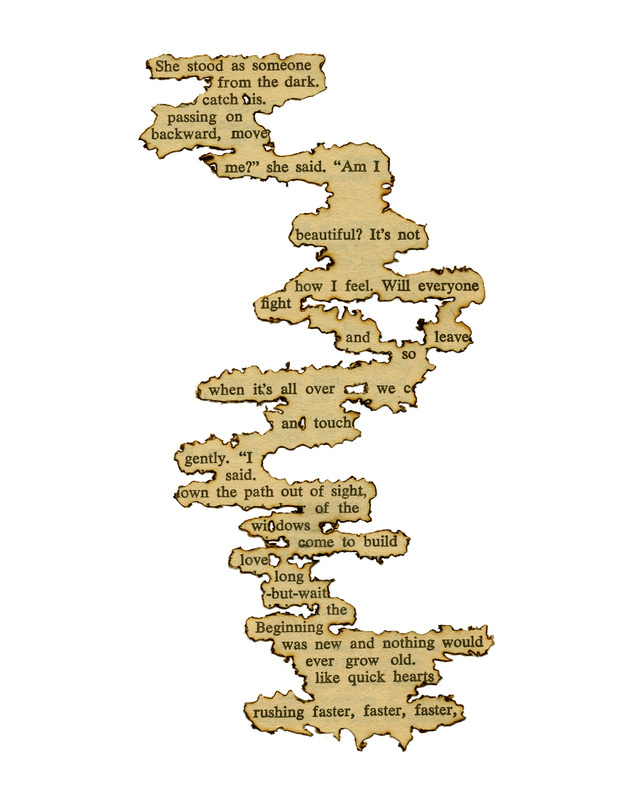 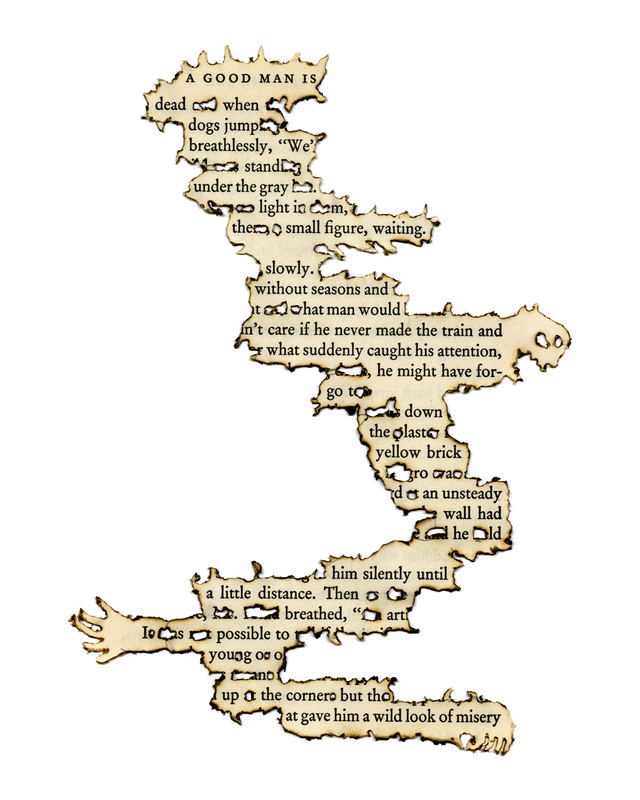 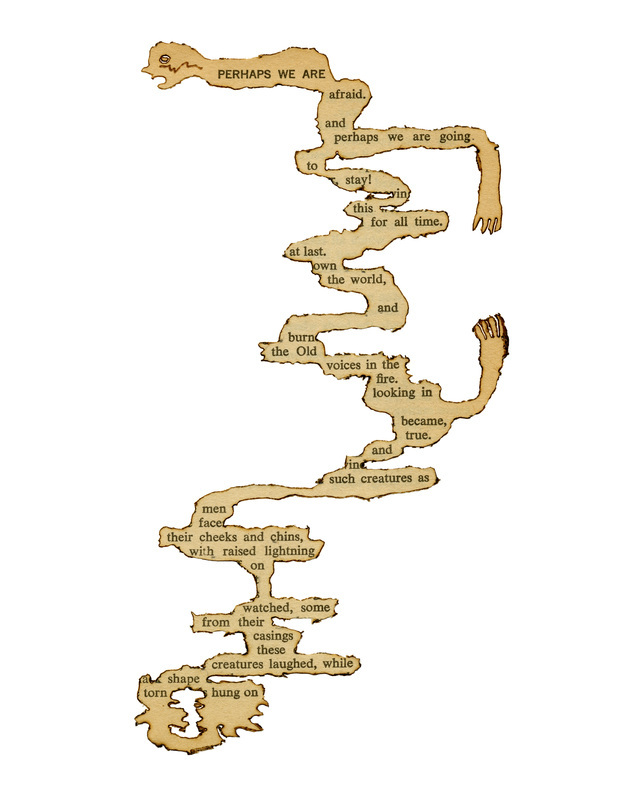 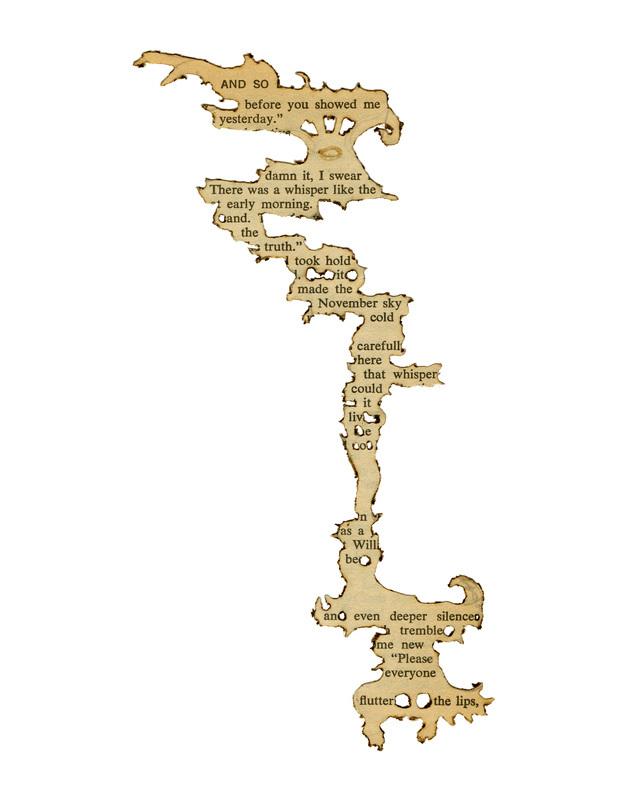 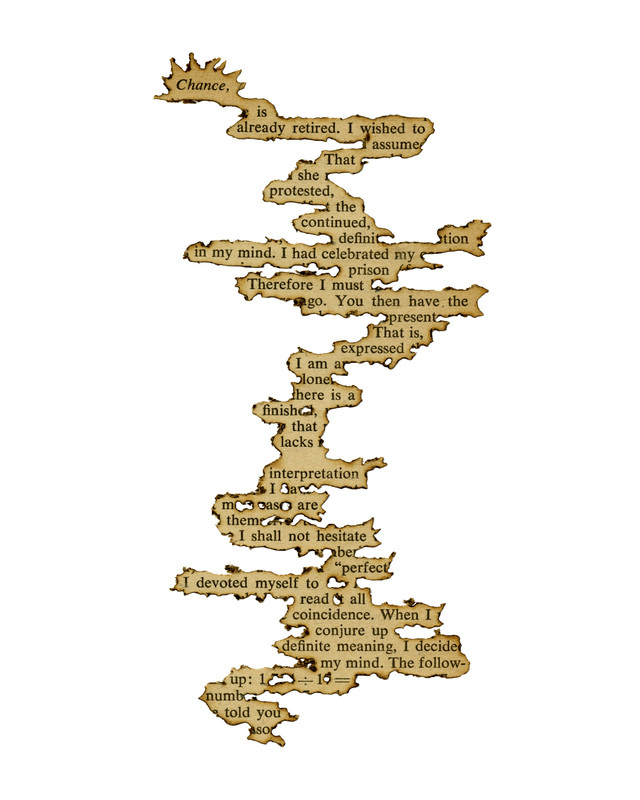 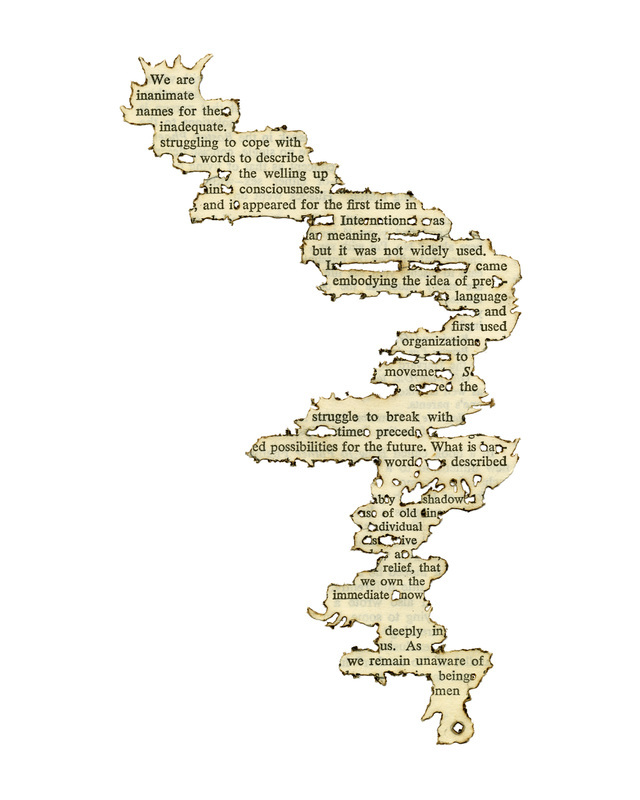 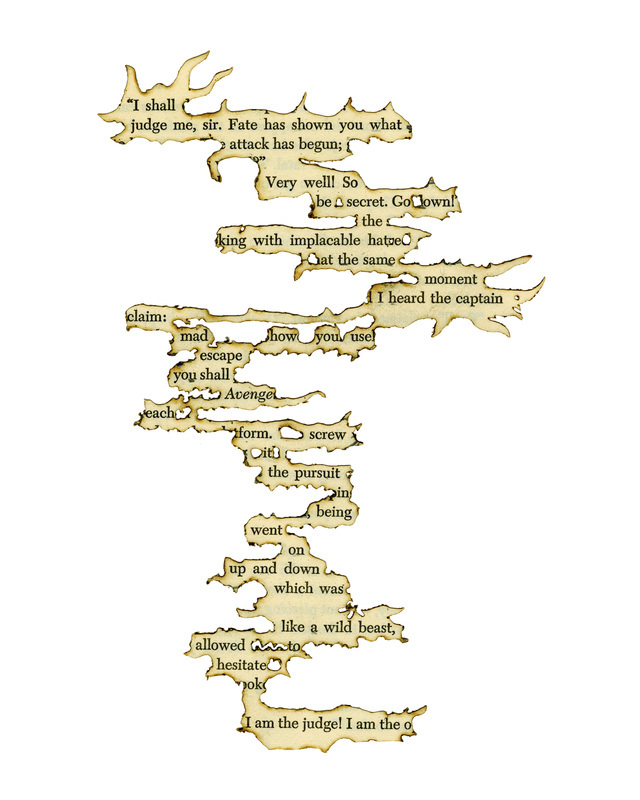 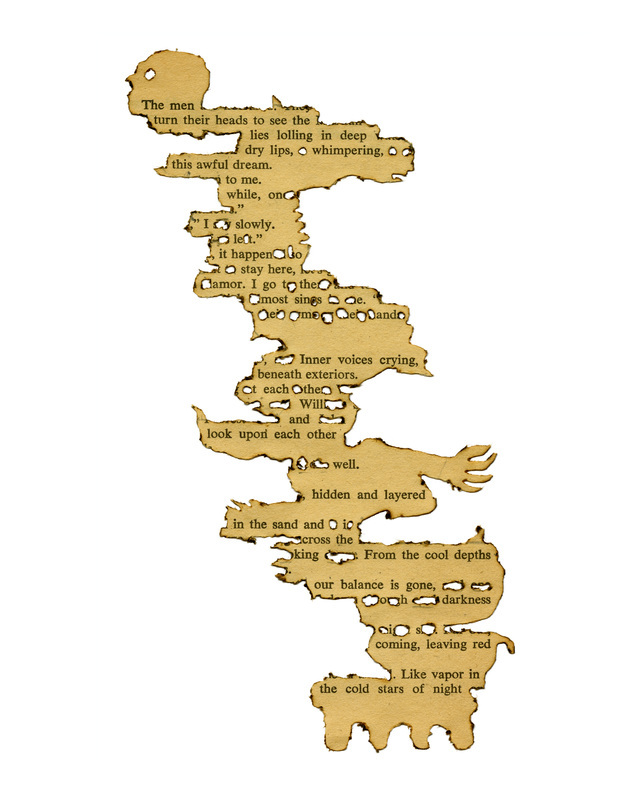 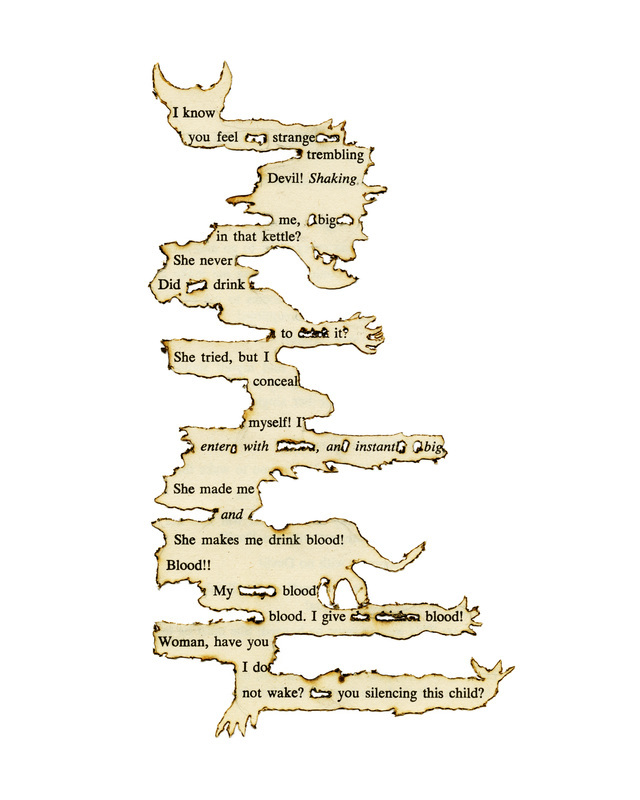 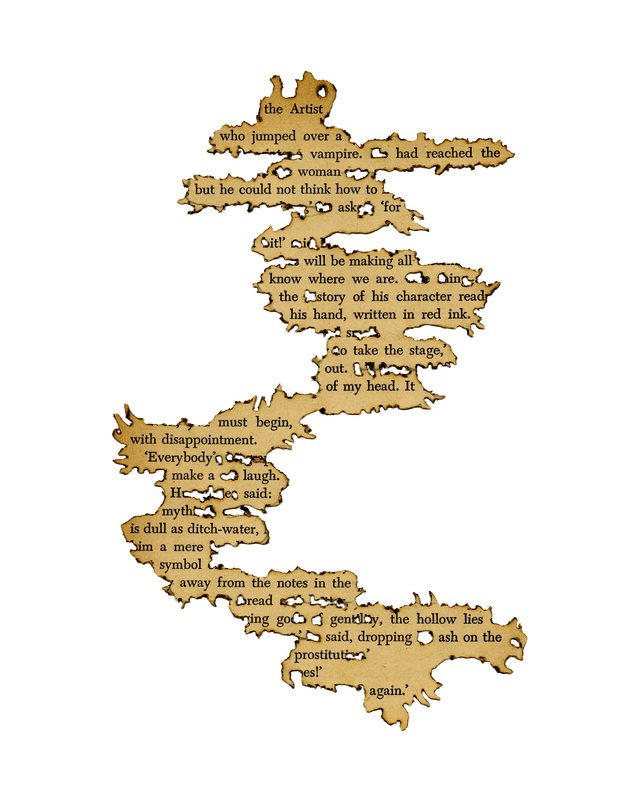 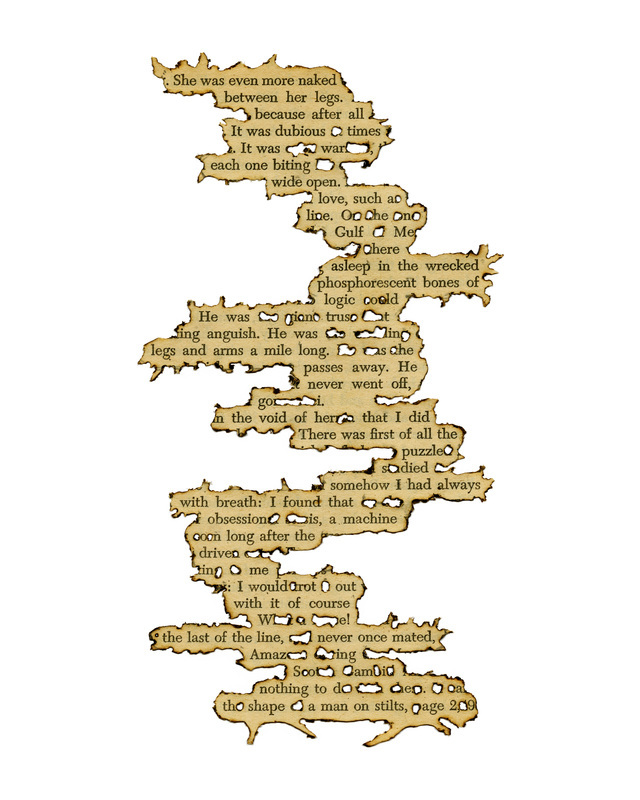 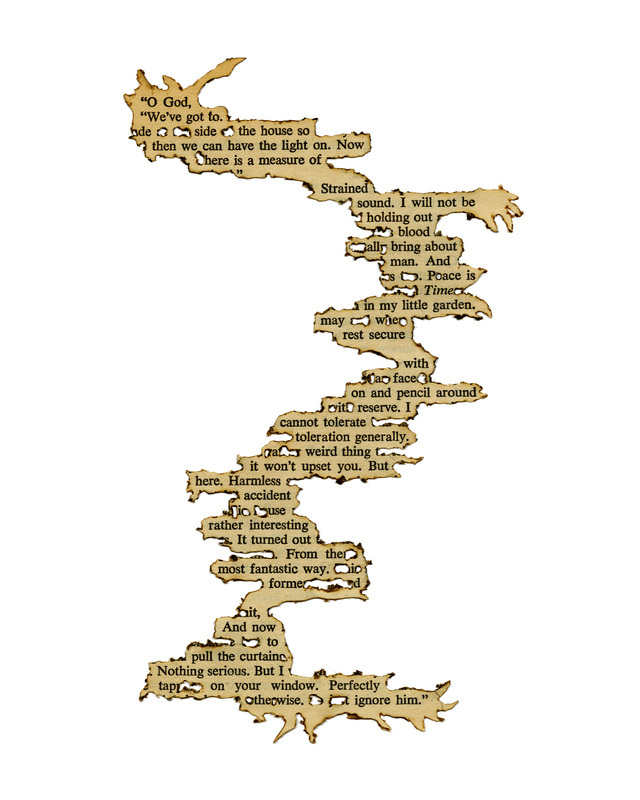 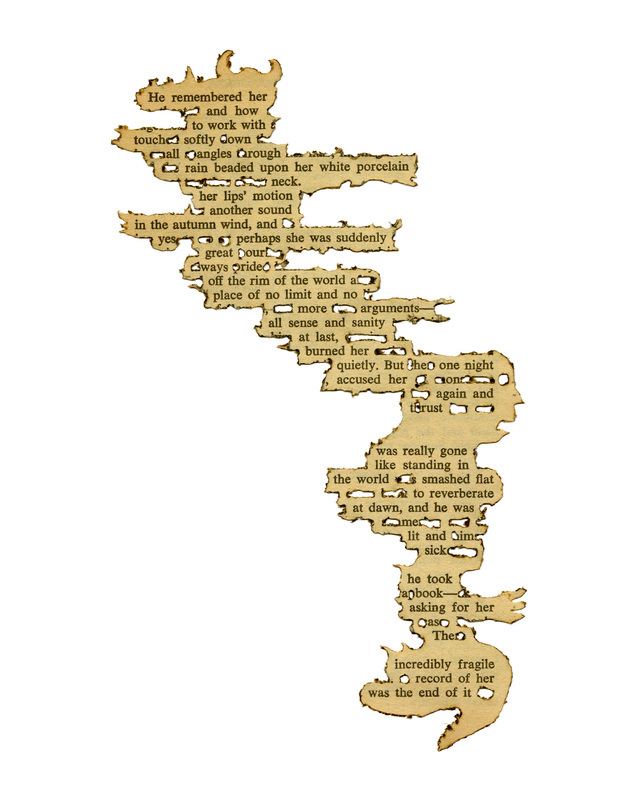 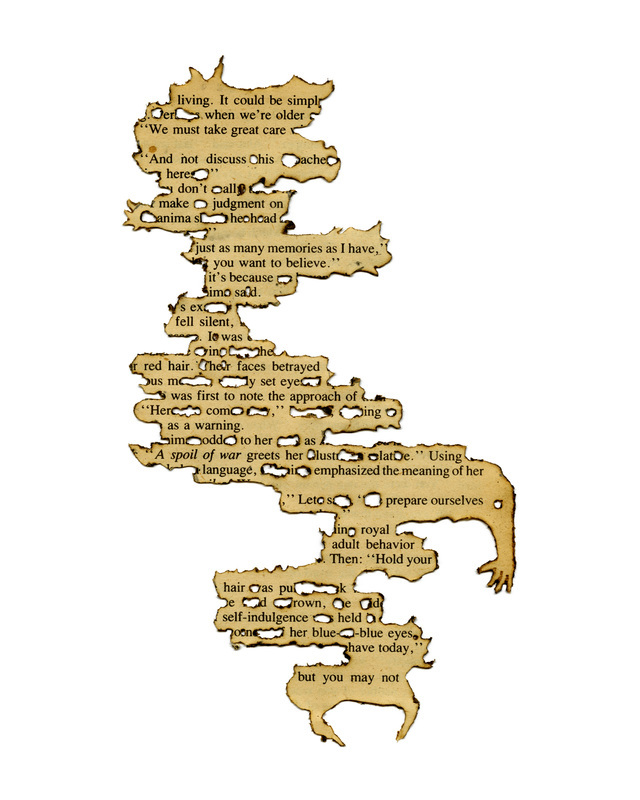 My erasure poetry explores the malleability of text. 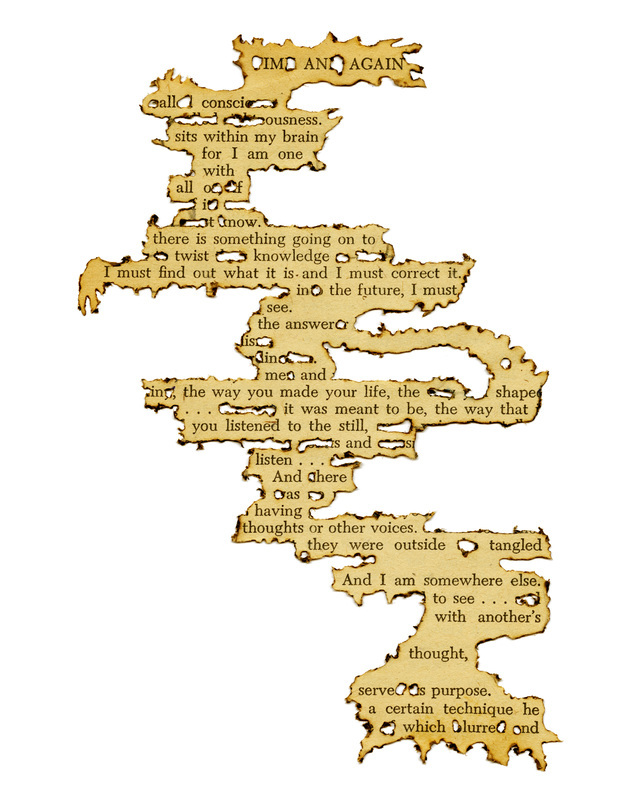 Pre-existing texts from discarded library books are burned away with a soldering iron to create and reveal new poetic narratives. 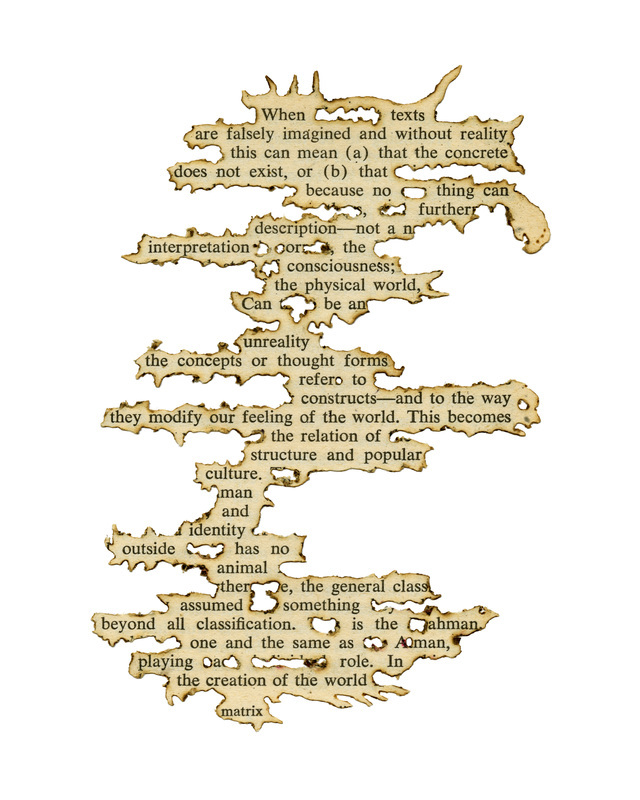 The use of photography further documents and protects these fragile objects, allowing unhindered investigation of their multi-layered qualities.